For more information regarding this event, please email Lifelong Learning at lifelonglearning@soton.ac.uk . In the 200 years since Jane Austen’s death, she has gone from being a moderately successful, anonymous writer to a global literary celebrity. In this study day, we’ll explore the landscapes and literature that informed her novels, and examine how writers and makers have responded to her cultural and literary legacy. There will also be a unique opportunity to meet the team behind Future Learn’s Jane Austen MOOC, and to find out more about the university’s new Jane Austen MA. Description: Henry Austen wrote of his sister that ‘her reading was very extensive in history and belles lettres’: appropriate and suitable for the daughter of a clergyman. This talk will focus on works held in the library of another brother, Edward Austen, later Knight, now in the collection at Chawton House. What other “very extensive” reading might she have undertaken in Edward’s library at Godmersham Park? Description: What does it feel like to walk in a garden? In this talk we’ll explore the physical and imaginative landscapes through which Austen moved, from gardens to hedgerows, from gravel paths to muddy tracks. Description: For British women writers of the twentieth-century, Austen’s legacy was sometimes a difficult one: what Virginia Woolf called the ‘tight plait’ of her writing was hard to escape. This talk explores how writers from Stevie Smith to Barbara Pym found new ways to respond to her prose. Description: What does it mean to think about Jane Austen’s novels as ‘world literature’? This talk describes various answers to this question, from Edward Said’s controversial reading of Mansfield Park to the re-worlding of Austen through international films. 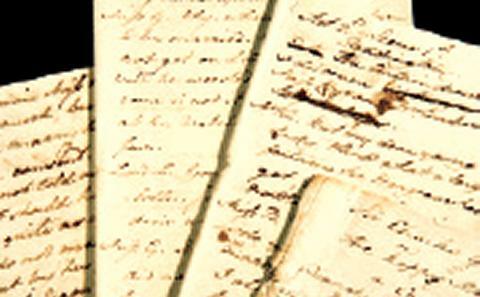 This panel session will give you a chance to meet tutors on the Future Learn Jane Austen MOOC, and to hear why Jane Austen is the subject of a new postgraduate course.